This Bike Pic Saturday, with several more inches of snow that just fell and another wave of cold temps coming in, dress in layers and have some fun. Adventure. See all the great ideas and bike destinations in the 2019 Bike/Hike Winter Planning Guide. Then plan your next outing with family and friends in one of Minnesota’s HaveFunBiking Destinations. 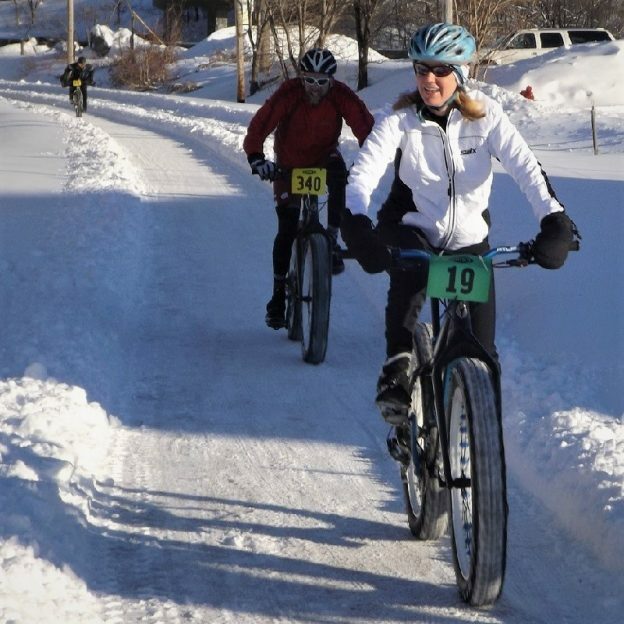 This entry was posted in Picture of the Day and tagged Excelsior MN, fat biking, Minnesota fat biking, Minnesota Mountain Bike Trails, Minnesota Off-Road Cyclists, Minnesota trails, Mountain Biking, picture of the day, picture of the day fat biking on March 2, 2019 by Russ Lowthian.